We are almost at the end of another month and it is again time to review the cuttings bed. To begin I would like to thank all of you who wished me a safe trip and my MIL a speedy recovery. I arrived here in Suffolk on Wednesday evening ready for MIL’s return on Thursday. I’m pleased to report that she is making excellent progress now she is back in her own home. 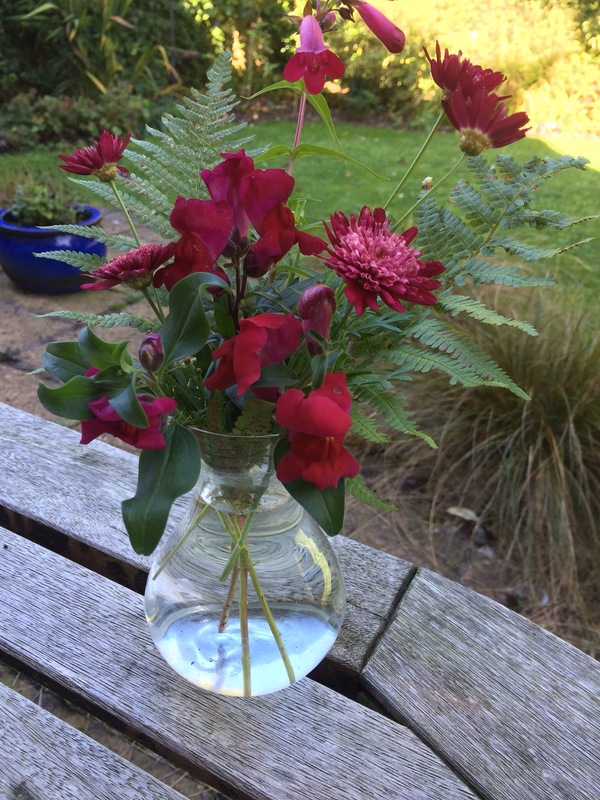 It is fun to choose flowers from a different garden and I was pleased to find plenty of choice in the garden to provide two small vases one for the sitting room and one for the dressing table. The images aren’t so good as I don’t have my camera with me so these were taken with my phone. The plus point is that I was able to take the photographs outside in natural light. 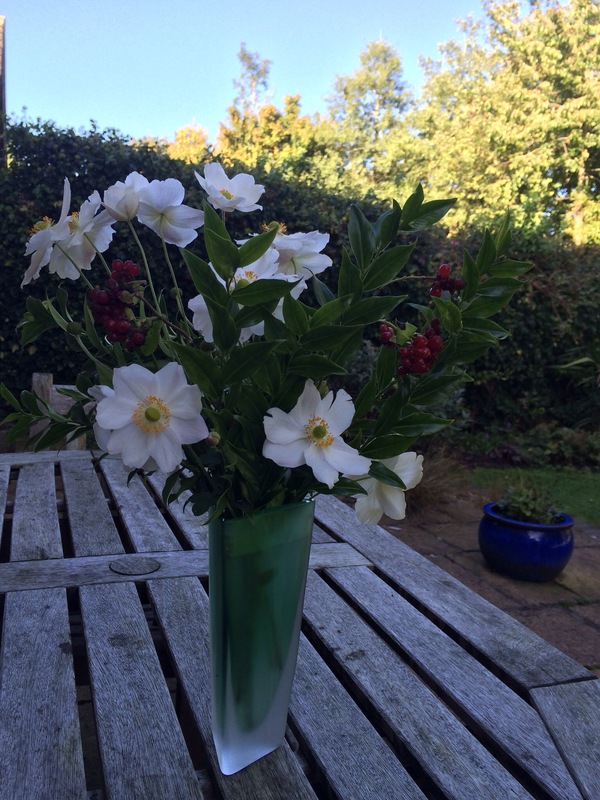 The first vase uses Anemone ‘Honerine Joubert’, Sarccococca, and some nice red berries from a honeysuckle that is covered with them. 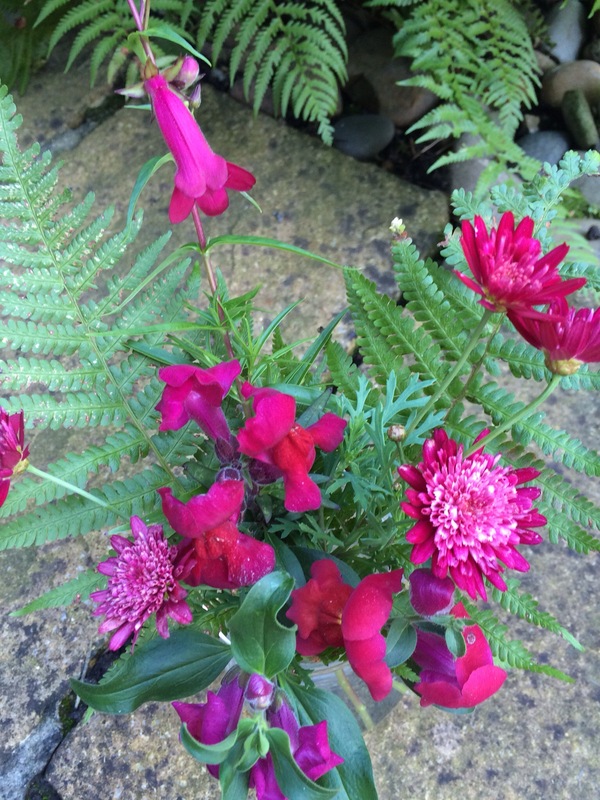 The second vase has a lovely fern (I would so like to have some of these in my garden to be able to use), Penstemon and Scabious. So with the usual thanks to Cathy at Rambling in the Garden for hosting. 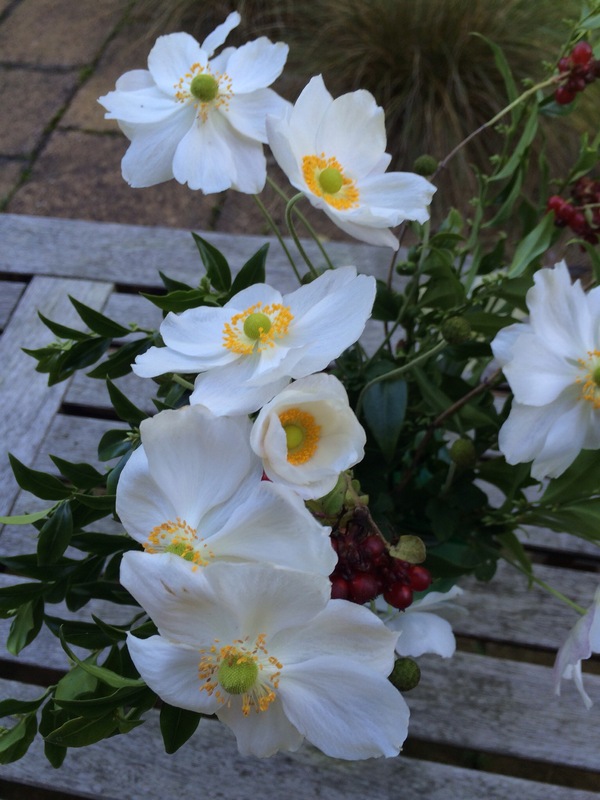 Do visit Cathy or why not join in, I’m sure you could find something to enjoy in a vase and share with us.